The European Space Agency has selected an observatory for launch in the next decade to stare at up to a million nearby stars for signs of habitable worlds and probe their size, mass and composition. The PLATO mission, set for launch on a Soyuz rocket by 2024, won a competition among five candidate projects, besting another planet-hunting telescope concept and proposals to observe black holes, probe the relationship between gravity, matter and time, and retrieve samples from a near-Earth asteroid. ESA decided on PLATO on the recommendation of senior European scientists impaneled to review the missions on technical and budget grounds. Stationed at the L2 Lagrange point a million miles from the night side of Earth, PLATO will sweep across two regions of the sky and monitor stars for dips in brightness, an indicator of a planet passing between the spacecraft and the star. The precision of PLATO's imaging detectors will also allow scientists to observe fluctuations in starlight stemming from processes inside the stars, a field known as astroseismology. The mission will determine the age, radius and mass of each planet's host star. The planet-hunting mission, expected to discover and study thousands of worlds, is tailored to seek the signatures of small rocky planets in the habitable zone, a region where temperatures are just right to support liquid water and life. "We want to completely characterize low-mass planets out to the habitable zones, learn about their internal composition, the density, and the age of the system," said Stephane Udry, an astronomer at the University of Geneva, in a presentation of the mission in November. Udry said PLATO will provide a "huge number" of planets for observations by future facilities, such as the European Southern Observatory's European Extremely Large Telescope and the James Webb Space Telescope, which could reveal the nature of their atmospheres and chemical make-up. Unlike Kepler, which imaged a narrow swath of the sky in the constellations Lyra and Cygnus, PLATO will scan two wide fields, staring at each for up to three years and collecting and analyzing light from a million stars. "The idea is to observe two big fields for a very long time and use a step-and-stare phase to cover nearly half the sky," Udry said. The PLATO observatory will actually consist of 34 telescopes, creating an imaging array to simultaneously observe bright and dim objects, according to scientists. Heike Rauer, a scientists with the German space agency DLR, leads the pan-European PLATO mission consortium. "PLATO will begin a completely new chapter in the exploration of extrasolar planets," Rauer said in a press release. "We will find planets that orbit their star in the life-sustaining 'habitable' zone: planets where liquid water is expected, and where life as we know it can be maintained." PLATO is the third medium-class mission in ESA's Cosmic Vision program, a strategic initiative guiding the selection of solar system exploration and astrophysics missions. 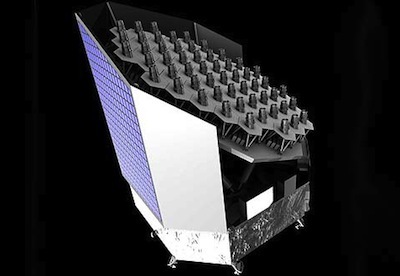 It follows the Solar Orbiter mission, a joint project between ESA and NASA scheduled for launch in 2017, and the Euclid observatory launching in 2020 to map the influence of dark energy on the evolution of the universe. ESA passed over PLATO in the selections of Solar Orbiter and Euclid. PLATO is under a European Space Agency cost cap of 600 million euros, or about $820 million. ESA member states and international partners such as NASA will likely add contributions beyond the cost limit. PLATO stands for PLAnetary Transits and Oscillations of stars. The project has similar objectives to ESA's canceled Eddington mission, which was shelved more than a decade ago to save money. "In the last 20 years more than one thousand exoplanets have been discovered, with quite a few multi-planetary systems among them," Rauer said. "But almost all of these systems differ significantly from our solar system in their properties, because they are the easiest-to-find examples. PLATO firmly will establish whether systems like our own solar system, and planets like our own Earth are common in the galaxy."